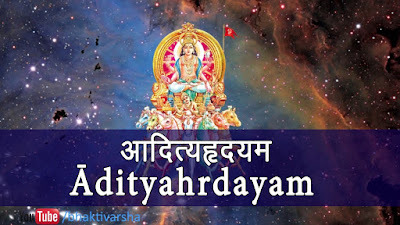 Aaditya Hriday strot is the 105 sarg of valmiki Ramayana yudhkand. Rishi Agastya has described this to lord Rama to win in war. This strot is beneficial to get similar power of Sun. Chanting this strot is very beneficial in war or litigation. It is also beneficial to get rid of Sun related problem. There are some rules for chanting this psalm. It is very important to follow this. People who are facing state level issues or any other government issues they should chant Aaditya Hriday strot. One can chant if he is suffering from disease or eyes or bone problems since long time. If the relations are not good with father or one face serious eye problem. It is also beneficial to chant to get good success in any work. People who are preparing administrative exams they should chant this psalm to get immediate success. 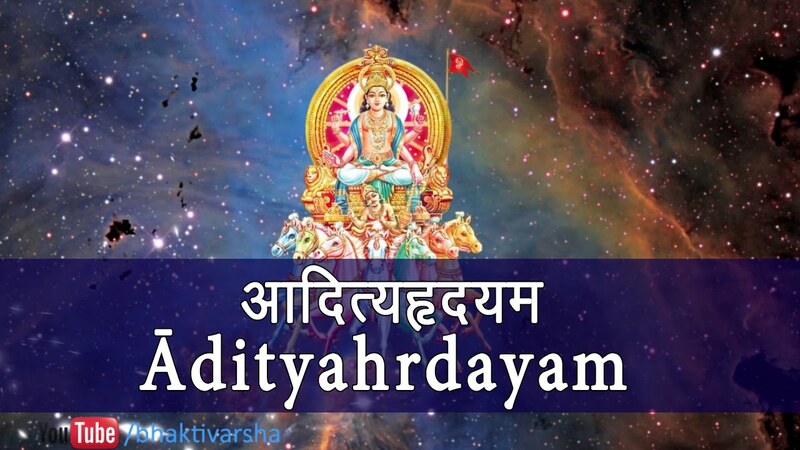 It is beneficial to chant Aaditya Hriday strot on Sunday morning. It is also beneficial to chant during sunrise every day. First take bath and offer water to Sun. After that, chant this psalm in front of Sun. Do meditation of Sun after chanting psalm. Avoid having meat and alcohol if you chant this psalm. Also, avoid using oil. Do not eat salt after sunset. Aries - It is beneficial to get rid of child related problem. One get boon of progeny. Taurus - It gives boon of health. It helps to get rid of property related issues. Gemini - It protects from an accidents. Relations with siblings improve. Cancer - It increase financial benefits. It is beneficial to get rid of headache and eyes problem. Leo - It is beneficial in every way. Every desire fulfills. Virgo - It is beneficial for good foreign journey and marital life. The nature will improve. Libra - They get regular financial benefits. They win over enemies. Scorpio - They get good career. They get good education. Sagittarius - It is beneficial for good foreign journey and support from father. They get mercy from god. Capricorn - They get boon of long age. They get good health and sudden financial benefits. Aquarius - They get happiness in marital life and good business. They get good financial benefits. Pisces - They get good success in job and rid of from litigation. They get rid of from debt and enemies. One should wake up and take bath before sunrise. Fill water in copper urn. Keep red flower and rice in it. Offer water to lord Sun for three times. Chant Sun’s psalm during it. Regularly chant Aaditya Hriday strot. Also, offer water in evening and worship. Do not eat oil and salt on Sunday. Eat food only one time on Sunday.